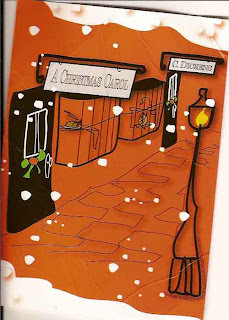 A Christmas Carol is a well-known Victorian morality tale by Charles Dickens which was first published in 1843. It tells the story of Ebenezer Scrooge, a disagreeable, mean old man hating Christmas who, on Christmas Eve, undergoes a profound experience of redemption over the course of one night. He has a visit from the ghost of his ex-associate Jacob Marley telling him to change his current behaviour or he would never be happy. Later that night, three other ghosts representing ghosts of the Christmas Past, Christmas Present and Christmas Yet to Come visited Scrooge. Each makes him relive and discover one moment of his own life to make him aware of his behaviour and mistakes. He would only find peace if he devotes himself to the others. Scrooge, in the end, realises that Christmas is a time to love and share. Since its first publication it has been adapted countless times for different genres. I fell by chance on the website of the Scarabaeus Theatre in Schaerbeek when looking for my last activity for the portfolio. It is when I read the plot of the play “A Christmas Carol” that I realised that I already knew that story. The name “Scrooge” sounded familiar to me. As a child I was indeed a fan of “Mickey’s Christmas Carol” by Disney. Do you remember it? I am sure you do! If not, click on this link. That was thus a good reason to go and see that play. 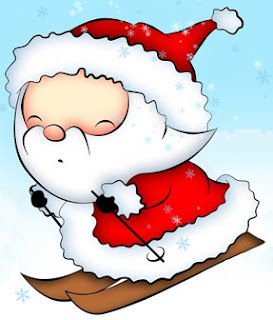 I have had a great time there and because it is Christmas time: I wish you all a Merry Christmas!